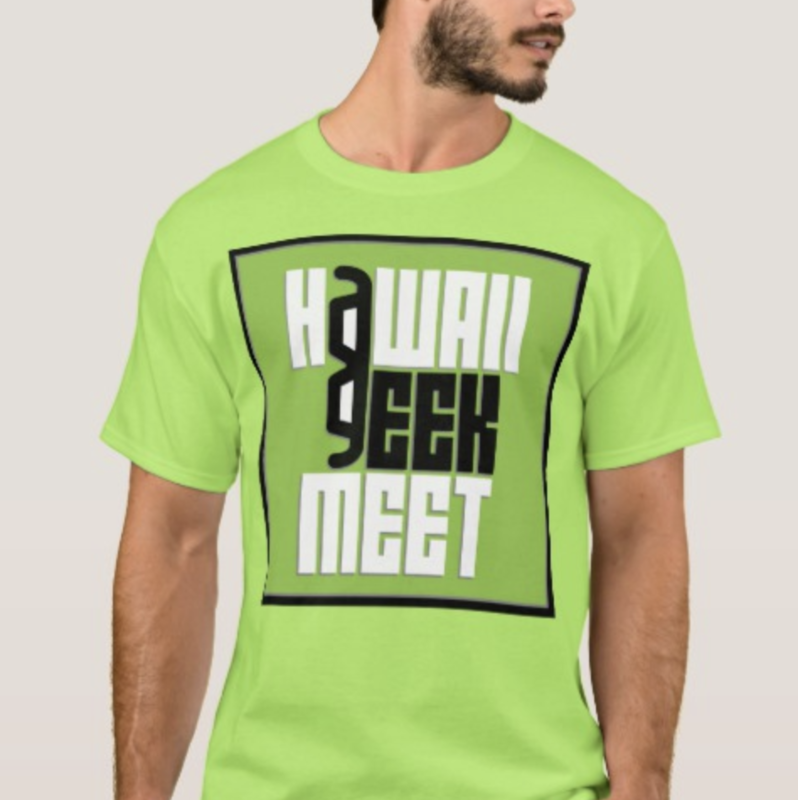 Show off your geek pride with an official Hawaii Geek Meet T-shirt (preorder for pickup or delivery), or shop in our on-demand Zazzle store for other logo items. The official lime green Hawaii Geek Meet T-Shirt for men and women, screenprinted locally, priced affordably. Preorder by May 10 for pick-up at the event or shipped via USPS. Discovering us between meetups or missed the pre-order window? 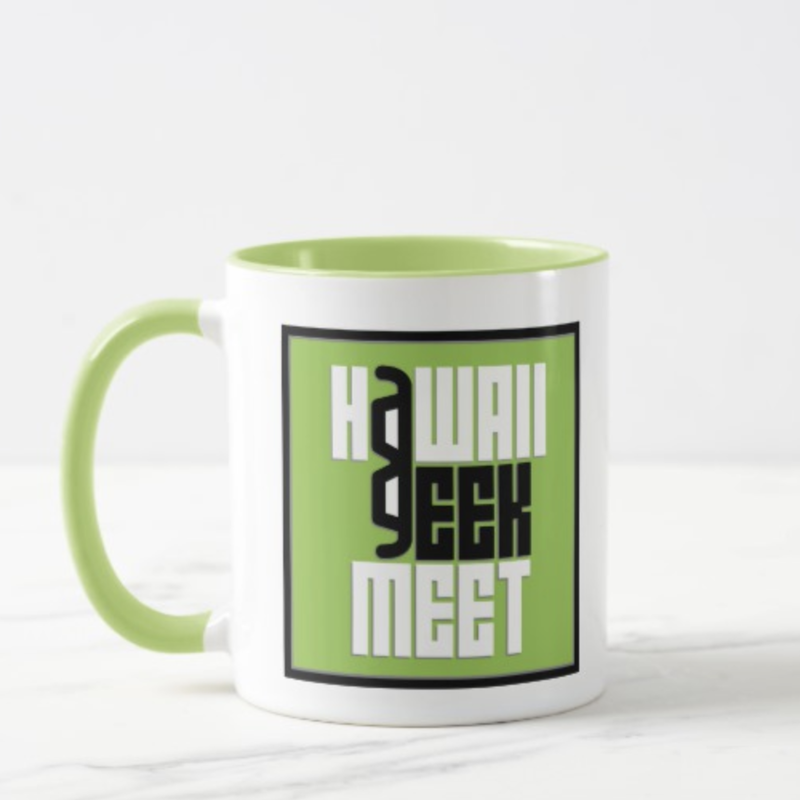 Looking for other Hawaii Geek Meet products? Check out our Zazzle store and get geeky goods anytime!